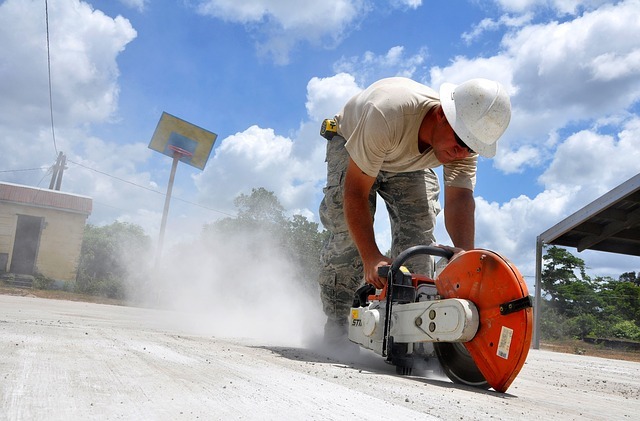 MegaSaw is an undisputed leader in the concrete cutting industry. We have been in operation for more than 20 years, serving residents of Docklands and the wider Melbourne metropolis. Additionally, you should note that MegaSaw stemmed from the Smith & Osborne group of concrete cutting companies which had been offering services for over 40 years. This gives us unprecedented hands-on experience -a requisite for rendering high-quality concrete cutting services. Besides experience, we make use of sophisticated concrete cutting equipment. We understand that our clients’ needs must be met fully. Thus we use the latest machinery to provide our clients with optimum solutions to their concrete cutting needs. The combination of our experience and use of cutting edge technology translates to fast, safe, and affordable services. We have performed concrete cutting tasks in different environments and scenarios. Therefore, we are in a position to plan ahead the best way to perform our job. This ensures that we get the concrete cutting Docklands job done in a fast and efficient manner. We make use of gold standards when it comes to safety. The knowledge we have acquired in our twenty years of service gives our personnel an in-depth understanding of the safety precautions and procedures required for any safe site operations. Additionally, the machinery that we use comes with inbuilt safety features, thus improving our safety standards. Because we are based in Melbourne, we are in a position to provide quick quotes for concrete cutting Docklands solutions. Additionally, having operated in this part of Australia for a long while, we have a thorough understanding of the logistics of moving equipment around thus ensuring efficiency in project implementation.